A Turkish court on Friday convicted American pastor Andrew Brunson of aiding terrorism but sentenced him to time served and ordered his immediate release, The Washington Post reported. 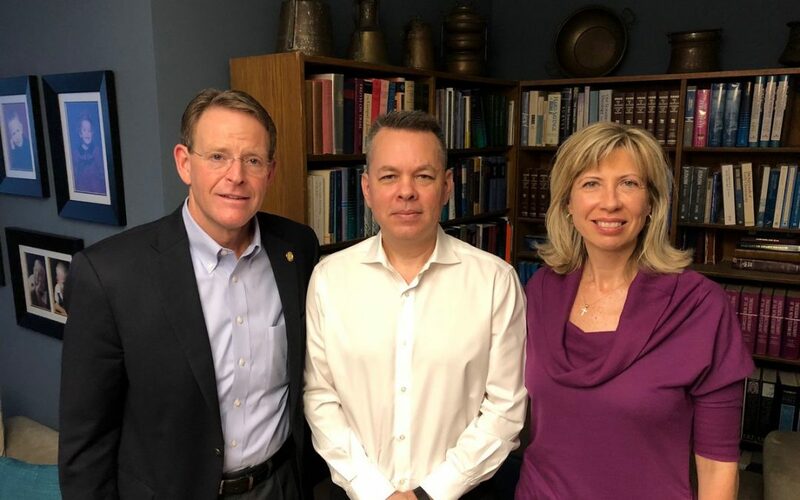 The case of the evangelical preacher caught up in Turkey’s post-coup security sweep had garnered the attention of the highest levels of the American administration and become a sore point in the two countries’ relations. Brunson’s trial had resumed Friday in western Turkey, where he headed a small evangelical congregation, just hours after US officials said that a deal had been reached with Turkish authorities to secure his release. Brunson, 50, has been held for two years on what he and the Trump administration said were false terrorism and espionage-related charges. Prosecutors accused the pastor of being linked both to Kurdish separatists and Fethullah Gülen, the US-based Muslim cleric Turkish authorities claim orchestrated a failed coup attempt in 2016. Brunson was released into house arrest in July for health reasons, but his ongoing trial has helped deepen a rift between Turkey and the United States, already at odds over the latter’s support for Kurdish-led fighters battling the Islamic State in Iraq and the Levant (ISIL) in Syria. Vice President Pence took a particular interest in Brunson’s case and has helped mobilize Trump’s evangelical political base to the cause. In recent months the administration made Brunson’s release a priority, and in August, the United States imposed sanctions on two senior Turkish cabinet ministers as a way to pressure authorities. Turkish President Recep Tayyip Erdoğan had said his government could not interfere in a judicial case. But US officials said Thursday that an agreement between the two sides to free Brunson was negotiated on the sidelines of the U.N. General Assembly last month. The deal, they said, would include the lifting of US sanctions in exchange for reduced charges that would allow Brunson to either be sentenced for time served or serve any remaining sentence in the United States. Turkish prosecutors had sought a 35-year sentence for Brunson, who they accused of spying and supporting terrorists under the cover of humanitarian aid and interfaith dialogue. That request was later reduced to 10 years at the trial. He was swept up in the wave of arrests that followed the botched military coup in 2016 during which tens of thousands of people — including artists, intellectuals and ordinary Turks — were detained. But prosecutors also alleged he supported members of the Kurdistan Workers’ Party (PKK), which has waged a decades-long insurgency against the Turkish state. But at the courthouse in Izmir’s Aliağa district Friday, a series of witnesses for the prosecution, including one who appeared via videoconference, gave scattered and at times contradictory testimony. One witness, Levent Kalkan, said investigators misunderstood his original testimony that had implicated Brunson in harboring coup suspects in 2016. The man that Kalkan said witnessed the protection of the fugitives appeared in court Friday to say that he had seen no such thing. “I never told Levent that,” the witness, Yilmaz Demircan, said.